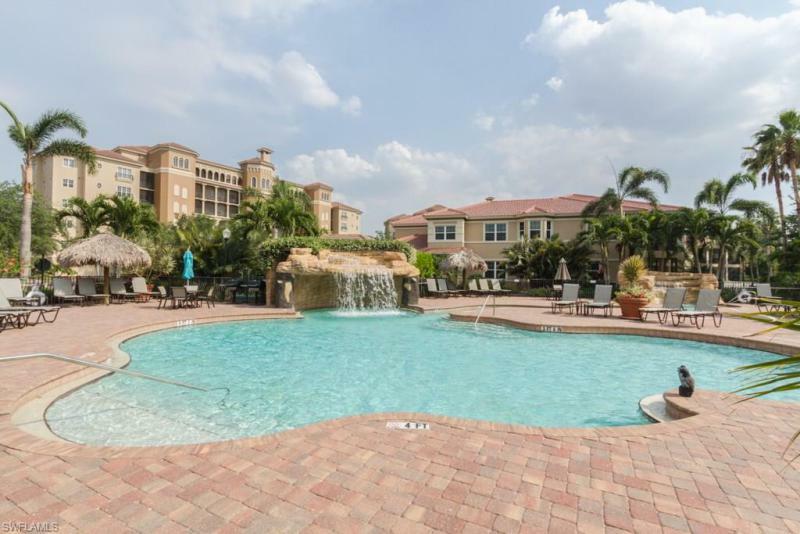 Enjoy the florida lifestyle with all the vineyards has to offer in this southern exposure condominium in avellino isles, positioned for privacy amid lush landscaping. The spacious end-unit floor plan has over 3,200 square feet with three en-suite bedrooms plus a den, a breakfast room surrounded by windows, a separate formal dining room and a large corner screened lanai with stacking sliding doors, plus a balcony off the den overlooking tropical gardens. The separate master suite has lanai access, three windows, his & her closet built-ins and a jetted tub. Features include an impressive 2-story garden level entry, a personal elevator, a convenient yet private powder bath, and tile on the diagonal in all the main living areas. It also has a double, attached garage with a paver driveway for the parking of 5-6 guest cars. Impact glass and storm shutters. A laundry room including a sink and cabinets with a brand-new washer and dryer set and a newer a/c broaden the appeal even more. Located just a short walk to the spectacular avellino isles community pool, grilling cabana and clubhouse. 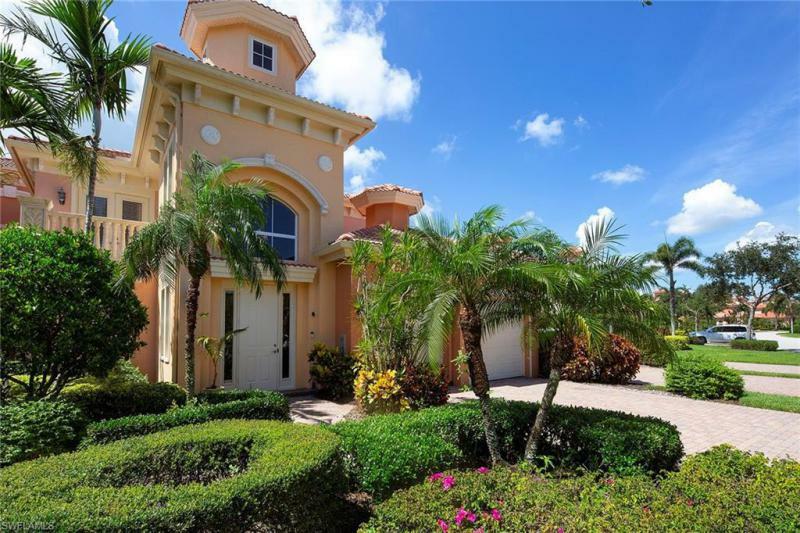 Extremely rare opportunity to buy an upper floor, luxury condominium in a mid-rise tuscan architecture designed building, with endless breathtaking golf course and lake views. Vista in spanish translates into view and you will not find a better view than what this unit offers! The expansive lanai is approximately 540 sq ft and offers panoramic scenery that will captivate you, and that you'll find nearly impossible to replicate. The open floor plan creates a flow that enhances the generous living space and invites a carefree florida lifestyle. This unit has been tastefully decorated with the most meticulous attention to detail, design and comfort. Shows like the dream that it is! The unit features marble floors, electric storm shutters and two in building secured garage spaces, dedicated storage space in the garage exclusively for this unit, and additional shared storage space on the same floor as the unit. 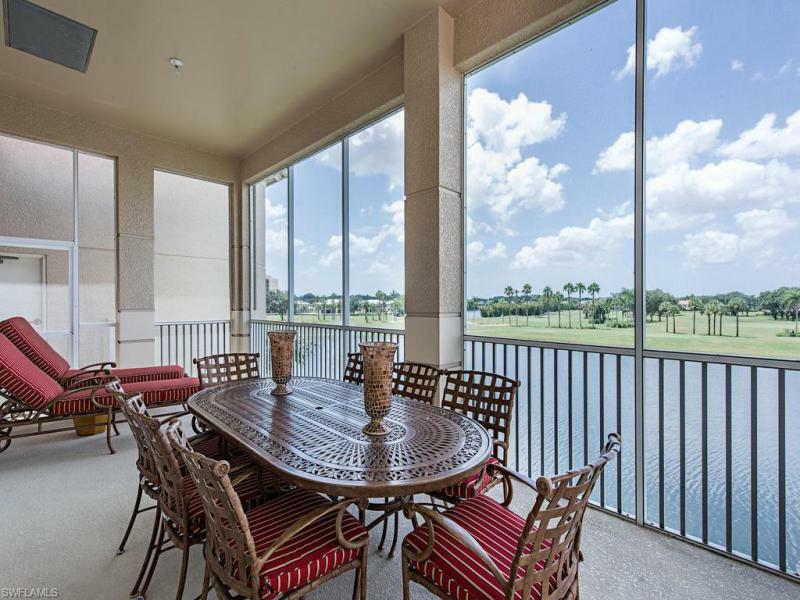 Gorgeous sunny, southern lake & golf course views from this beautifully renovated condominium in the vineyards. New high-quality gray cabinetry, white quartz counters with gray veining and glass tile are highlights of the stunning coastal contemporary look of the kitchen with new appliances & renovated in 2017. The luxurious master suite features hardwood flooring and a generous walk-in closet with california closet system. The open great room is bright and sunny and is adjacent to the spacious screened lanai overlooking that spectacular view. This elegant condo also boasts crown molding throughout, newer a/c & hot water heater. This boutique community of only 40 units gives you the intimate feel with the ultimate location. Just a short stroll to the pool and country club. Optional vineyards country club membership provides two 18-hole golf courses, lighted tennis courts and a brand new wellness center that is sure to impress.